The VFW Post 3762 recently donated to the Shriners Hospital. Pictured (L to R): Bob Malone, Tom Slager and Sheldon Litton. 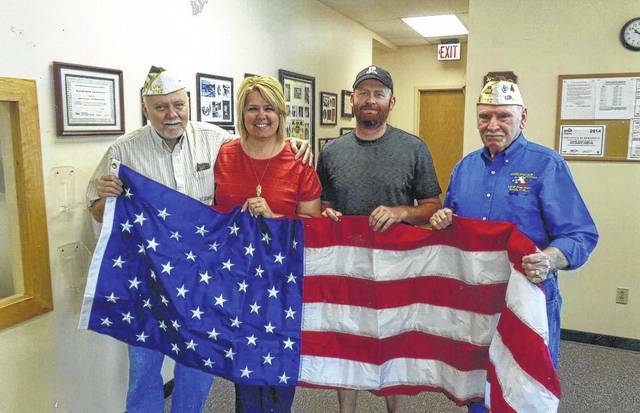 The VFW Post 3762 recently donated a flag to Fayette Progressive Industries. Pictured (L to R): Bob Malone, Betty Reisinger, Tim Stewart and Tom Smith. The VFW Post 3762 recently presented a flag to Fayette School. Pictured (L to R): Brenda Whitmer, Jamie Bryant, Sandy Kelly, and Tom Smith, all with kids from the school. 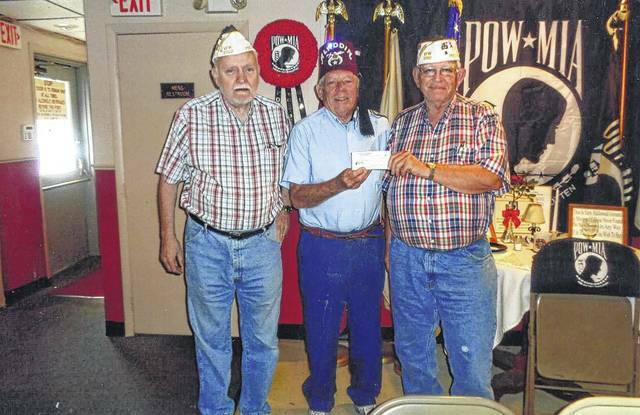 https://www.recordherald.com/wp-content/uploads/sites/27/2017/07/web1_img025.jpgThe VFW Post 3762 recently donated to the Shriners Hospital. Pictured (L to R): Bob Malone, Tom Slager and Sheldon Litton. https://www.recordherald.com/wp-content/uploads/sites/27/2017/07/web1_img026.jpgThe VFW Post 3762 recently donated a flag to Fayette Progressive Industries. Pictured (L to R): Bob Malone, Betty Reisinger, Tim Stewart and Tom Smith. https://www.recordherald.com/wp-content/uploads/sites/27/2017/07/web1_img027.jpgThe VFW Post 3762 recently presented a flag to Fayette School. 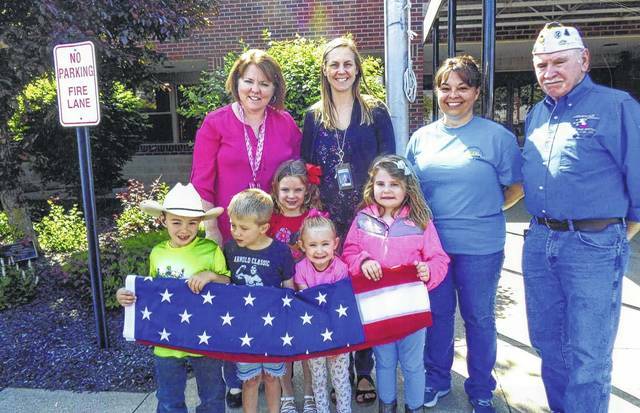 Pictured (L to R): Brenda Whitmer, Jamie Bryant, Sandy Kelly, and Tom Smith, all with kids from the school.